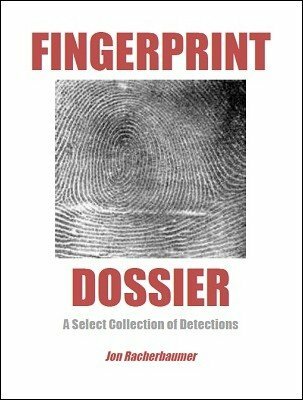 I must confess that my initial reaction to the Fingerprint Trick was tepid. There was no tension or conflict and it came off as being a glorified location trick. But one aspect interested me. It violated one of magic's cardinal rules - namely, never tell an audience what you are going to do before you do it. And, worse, in this case the performer divulges how he plans do it. Every presentation explains how the trick ostensibly works: The selection is found by detecting the thumbprint left on it. This is a plausible explanation, but as the trick unfolds, this casual explanation seems less likely to be true. This is especially the case if spectators closely examine the cards and cannot discern any thumbprints. The trick then becomes a demonstration of skill or a matter of having keen eyesight. 1st edition 2019, 39 pages.